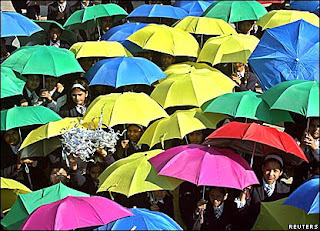 Pursuing a strategy that straddles cost leader approach with a differentiated one is difficult. Both in terms of the back end (read, operations) activity and the front end one (read, branding). For the moment, Tata Tea, through its bottled water unit Mount Everest Mineral Water (MEMW) plans to take on global rivals such as Coca-Cola and PepsiCo with such a strategy and it seems to be doing everything right. 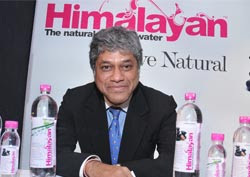 It has positioned its Himalayan brand as the premium brand, controlling about half of the natural mineral water segment, which forms part of the Rs 1,500-crore packaged drinking water market in India. It now plans on a bottled water brand for masses, at rates lower than those offered by competitors Bisleri, PepsiCo and Coca-Cola. We can safely assume that this would be branded with name that is relevant to the target mass consumer segment. The name 'Himalayan' brings along visions of purity that sit well with a premium brand, though I wonder if an anglicized name would have been better. The mass bottled water market in India is fragmented with Coca-Cola's Kinley and PepsiCo's Aquafina together dominating about quarter of this market. Bisleri accounts for 16 per cent of total sales. More than 50 per cent of the packaged drinking water market is dominated by 200 odd water brands that sell in regional pockets. Sir, I think the number 200 is very small. There are numerous local brands. In hyderabad in the last 1 month I observed that there are more than 30 brands operating and these are not registered. This number increases with the water pouches. People dont ask for a brand here as the consumption is immediete and is a necessity. The idea is to quench the thirst. So many brands thrive on this. Thank You sir. You were the inspiration. I will not let you down.